Over the years, no touch laser eye surgery is becoming a popular consideration among people who opted eye laser surgery for permanent vision correction. But what does the ‘no touch’ entails? Firstly, let us understand the reason of the hype behind no touch laser surgery. One of the most popular vision correction method is LASIK which stands for Laser-Assisted In Situ Keratomileusis. During the procedure, a suction cap will be used to hold your eyes in place first and then.a surgical blade called microkeratome will to be used to literally slice off a thin layer of membrane from the top of your cornea. This is layer is medically termed as corneal flap and is supposed to act as a natural bandage at the end of the procedure. Once the opening is created, laser will then be used remove some of the tissues of the cornea to shape it to the required curvature. Then the flap will place back for natural healing to take place. If you are squeamish like me, you are probably shivering and screaming for the emergency exit by the time ‘cutting of corneal’ reaches your ears. Thus no touch laser eye surgery is created. Currently there are 2 main types of ‘no touch’ technology available. Also known as IntraLase SBK. ‘No touch’ in this instance only means that no mechanical blade is used. Instead, they will use a femtosecond laser to create the corneal flap. Once the corneal flap is created, other procedures are similar to LASIK. The doctor will use a spatula-like item to move the flap aside. Like LASIK, excimer laser will be used to shape your inner cornea into the required curvature. Once the excimer laser has done its job, your flap will be placed back to the created opening on your cornea. In nutshell, it is no touch with a blade. Otherwise, it is just LASIK surgery. One of the main claimed benefit of bladeless over standard LASIK or Epi-LASIK (uses oscillating blade) is that the flap created by laser precision is much thinner than the one made by the microkeratome blade. Thus, faster recovery and reduced risk of flap complications. But if flap creation is your main concern, then bladeless LASIK is probably not for you. It is also more expensive than conventional LASIK. Check out the video below on how bladeless LASIK is performed. Also known as Trans-Epithelial PRK (Photorefractive Keratectomy) or Trans-Epithelial Surface Treatment (talk about confusing terms….). This procedure was first performed in London Eye Centre in 1990 and over time, they had reported to have 100,000 PRK procedures performed just at the New Westminster, BC location alone. Not to be confused with PRK where a special scraper is used to remove outer layer of your eye. During the treatment in No Touch PRK, your eyes are first numbed with solution drops and then clamped with a retainer to prevent them from moving. Laser will then be used to vaporize the surface skin cells of the cornea (called epithelium). Once the epithelium cells are removed, the doctor will then proceed to re-sharpen the inner cornea with the same laser to create a suitable curvature. The whole procedure will take less than 2 minutes for each eye. After the procedure, a set of high-oxygen content soft lens which acts as an artificial flap will be placed on the treated eyes to let the epithelium recover. The lens will be removed by the medical personal once the epithelium layer has healed in the subsequent visit. See the video below on No Touch PRK in action. Longer recovery time compared to standard LASIK. Takes up to 6 months for full vision recovery. Some doctors may offer additional treatment to strengthen your cornea during the procedure. They do this through corneal collagen cross-linking. After the excimer laser has completed reshaping the cornea, Riboflavin (Vitamin B2) eye drops are applied to the surface of the treated cornea. One minute later, the Vitamin B2 eye drops will be washed off and the cornea will be irradiated with Ultraviolet A (UVA) light from a specialized machine, which cross-links the collagen fibers within the cornea, making it stronger. The video demonstrates the cross-linking procedure. Note that the first step of epithelial barrier removal is already done if you are doing cross-linking during no touch PRK. The whole cross-linking procedure will take an additional 2 minutes. Cross-linking is reported to be helpful for patients with highly distorted and diseased eyes (such as keratoconus). It is also reported to be useful to remove scars from prior infections to the eye. Who Are Suitable For No Touch Laser Eye Surgery? For patients who are interested in doing LASIK but was not suitable due to thin cornea. For patients who have higher risk of flap complications such as small, deep set eyes. For patients who are active in contact sports such as boxing, martial arts, rugby and basketball. For patients who are engaged in careers with enhanced risk of injury such as military officers, firefighters and police. For patients who are highly anxious or having a particular phobia about flap creation. For patients who need to go through another round of surgery due to previous imperfect corneal surgery. Beneficial to keratoconic patients if they also choose cross-linking. For patients with moderate or high myopia. Do make sure that you have an in-depth consultation with a professional before deciding whether no touch laser eye surgery is right for you. Certain clinics may push for no touch surgery claiming them to be better and safer despite you can do well with standard LASIK. So far, the reviews I read online was that No Touch PRK seemed to be better with less complications compared to other forms of laser eye surgery. Lower risk of human errors as everything is computerized. Less invasive and much simpler than many other laser eye procedures in ophthalmology. Very little equipment is needed, and afterward the pain and discomfort is far less than many other methods that can be used. Faster healing time as compared to their direct counterpart. 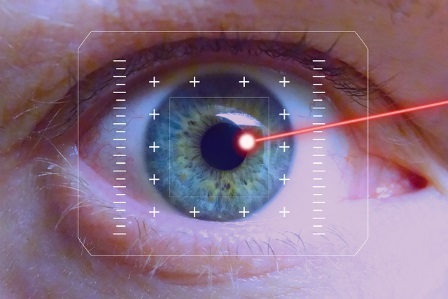 Do note that regardless of touch or no touch laser eye surgery, they are all invasive and some portion of your cornea is still ablated regardless of which chosen method. The changes to your eye structure are permanent and irreversible. There is no way of undoing it if you regret in the future. There are some common side effects to be wary of such as light sensitivity and dry eyes. These condition may last a few weeks or may even become a lifetime issue. There are also more serious complications which you want to find out in my article on dangers of LASIK. Make sure you had considered all your options and had researched all the procedures, after care and possible risks and complications. Any form of surgery should be the last resort due to their invasive nature. If the cost, possible pain and side effects are of huge concern to you, do know that natural vision correction methods are always available. Proper vision habits, eye nutrition and eye exercises can help improve eyesight. In fact, eye exercises can help with astigmatism, farsightedness, nearsightedness and presbyopia. They can correct refractive errors from light to moderate severity. I highly recommend that you try out eye exercises for at least one month and see for yourself the magic of natural vision improvement. There are two sets of eye exercises (1, 2) which you can do daily. You can also consider doing some acupressure for eyes to relax and improve your eyesight further.